I’m just a few days removed from a week in Italy and still basking the the culinary afterglow. Anyone who has been there knows the feeling. Italy is such a beautiful country with so much art, history, and culture it sends the senses into overload. I was in Siena and Assisi for work and not wine writing. Frankly, I had hoped to have a little time to do some wine work but it just didn’t happen. I work at a small private liberal arts college and was there on an alumni travel trip. 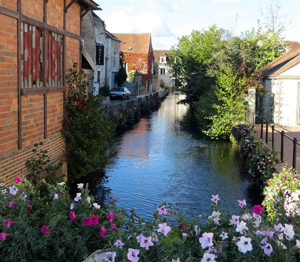 We had some fabulous meals and great wine throughout the seven days I was on the trip. Much of that experience is detailed in this related photo album. But a few conclusions, obvious and not so much. Italians make the best pasta in the world; pizza – not so much. The Rosso wines of the Montalcino region far surpass the Chianti Rosso wines. As a matter of fact, I’m nearing the conclusion that a good bottle of Rosso Montalcino might be one of the great wine buys in the world. I was fortunate to taste a lot of Brunello. But with a spread of Italian meats, cheese, and bread, nothing beats wines from the Montalcino region. I’m not sure if it matters whether your drinking a $40-$60 bottle of Brunello or $20-$20 bottle of Rosso, the atmosphere, scenery, and wonderful Italian people combine for moments to remember. I did have two wonderful finds. I was on the trip for just one day in Assisi in the Umbria region. I returned early while the rest of the trip had another week. We had a marvelous dinner in Assisi which included ravioli with truffle, penne pasta with veal and more. But it was the two wines that knocked me out. We had a Grechetto and Rubesco. I have had Grechetto on a previous occasion and just loved it. It is often blended with other white grapes though our bottle didn’t offer any additional information. So maybe we got a little sloppy pouring! 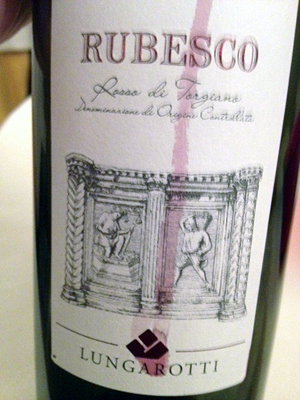 The Rubesco was a new experience and I found it delightful for a value-priced wine. It is Sangiovese (70%) and Canaiolo (30%) which has been designated a proprietary blend for Lungarotti. If you find it and like Italian food and wine, buy it. 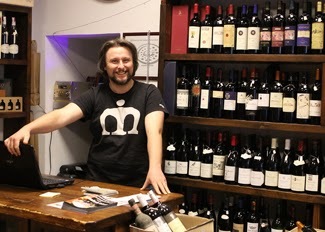 I found two wonderful wine shops while in Siena. Federico Pieri who owns Cantina del Brunello along one of the winding streets not far off Siena’s famed Piazza del Campo. His sign out front said “80 Brunellos” and there must have been at least that many. The other shop La Cantina Dei Tolomei Prodotti Tipici (and I need to double check the name Thursday in the office) was my absolute favorite. I found it two years ago and returned. A young proprietor named Paulo and his girlfriend run the great little shop. It’s on the one of the main streets which eventually runs right down behind the Piazza del Campo with exits directly onto the amazing space. Now it’s getting back to the wine writing routine. I may have a really exciting trip coming up later this month. But I need to be assured of final details before going into it here.